The lifespan of an African spurred tortoise is about 50–150 years, though they can live much longer. Tortoises are pretty smart — they can live to be super old, they're loyal friends and clearly they're super smart. But apparently they're also kinda rude because Jeffrey does NOT bother to close the door behind him. The giant tortoise has an armored shell for protection, but it also has a couple of other features that correlate with long life. "Don't worry humans I don't need your help because I am a talented tortoise." 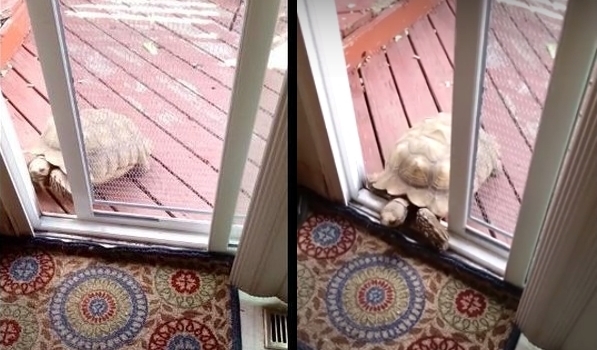 Responses to "This tortoise wanted to go inside, so he opened the door himself"